RIDE, SALLY, RIDE! : The beautiful and talented quartet Blame Sally plays May 16 at Downtown Brew to promote their new CD Night of 1000 Stars. Even though Blame Sally hails from San Francisco, I still like to claim them as our own. After all, two members—Pam Delgado and Jeri Jones—used to live and play here in SLO County. 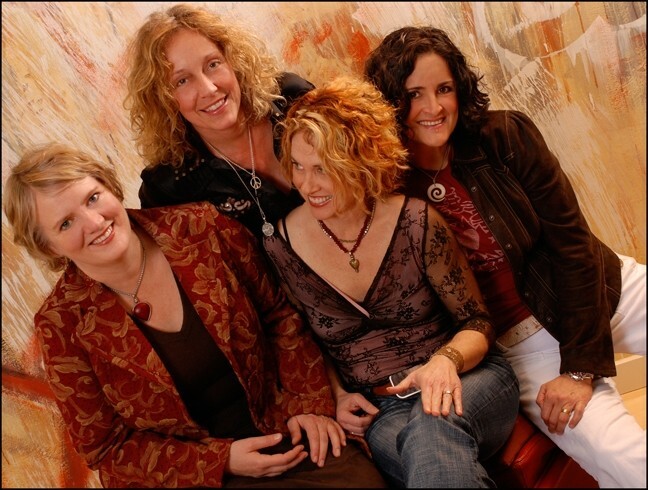 Of course, theirs was a talent too big to be contained by our bucolic Shangri-la, so they joined up with Renee Harcourt and Monica Pasqual and created what is arguably one of the finest female folk quartets in the nation. “The band has the songs, the chops, and the pipes to back up their tough-talking, clear-minded folk rock,” praised the Santa Cruz Sentinel. “Collectively they create multihued sonic and emotional tapestries, recalling the artful romanticism of Jane Siberry, the rich folk harmonies of the Indigo Girls, and the percolating soulfulness of Joy of Cooking,” gushed the San Francisco Chronicle. “One of the finest Americana bands in the country right now … like a folk-based U2,” lauded the San Diego Troubadour. “Better than sensual massage after a hot tub soak while drinking champagne and being fed peeled grapes by a team of beautiful attendants,” said I. After working their kiesters off touring and recording on their own, last year they inked a one-of-a-kind, five-year, three-album recording contract in the mid-six figures with Bay Area Opus Music Ventures. Their first album under the deal, Night of 1000 Stars, comes out this month. The lovely ladies of Blame Sally will promote it locally with a CD release show on Saturday, May 16 at Downtown Brew (7 p.m.; $15 presale or $18 at the door). What a drag! The men of Cal Poly fraternity Delta Lambda Phi present their 1st annual philanthropy drag show The Dollhouse on Thursday, May 14. A portion of the proceeds will be going to the Aids Support Network (ASN) of San Luis Obispo to help fund the prevention, education, and outreach that ASN provides to help stop the spread of HIV/AIDS on the Central Coast. There’ll be professional Drag Queens coming from all over. This 18-and-older show costs $10 advance or $12 at the door. Remember, this is a drag show, so men come dressed as Drag Queens and ladies come dressed as Drag Kings! Reggae legends The Meditations will be joined by local reggae heroes The Shival Experience on Friday, May 15 (all-ages, 7:30 p.m.; $10 presale or $12 at the door). The Meditations—Ansel Cridland, Danny Clarke, and Winston Watson—recorded their first hit single “Woman Is Like a Shadow” in 1974 at Channel One Recording Studio in Jamaica, and they’ve been going strong ever since. On Tuesday, May 19, local heroes Still Time will release their second full-length studio album, See America, to the public during a 7 p.m., 21-and-older show with opening act Truth and Salvage Company ($15 includes the new CD!). They were supposed to drop off a CD for me to listen to, but they didn’t. I blame their manager, who decided to vacation in Hawaii instead of promote his band at this crucial juncture in their career. What a tool! 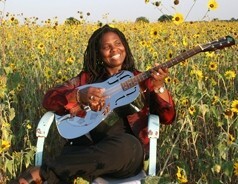 FEELS LIKE HOME : Downtown Brew will host extraordinary Americana blues and soul performer Ruthie Foster on May 20. Finally, Downtown Brew will host extraordinary Americana blues and soul performer Ruthie Foster on Wednesday, May 20 (21-and-older; 7:30 p.m.; $13 presale or $15 at the door). Foster is touring to promote her new album The Truth According to Ruthie Foster, on which she sings on the opening track, “Everybody ought to have a stone love.” Amen, sister. 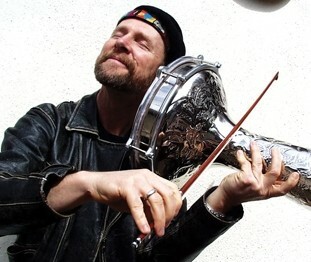 Freestyle folk, world, and roots music legend Joe Craven will play the next Música Del Río House Concert, which should be amazing since the best way to see Craven is up close and personal. The musicologist and multi-instrumentalist is truly remarkable, and he seems to be able to make music with just about anything from a pickling jar to a credit card. On Friday, May 15 at 8 p.m., Craven will be joined by bassist Sam Bevan, with whom he recently made a CD that should be available at the show. According to concert organizer Fred Munroe, “We’ve known Joe Craven for many years and we still have very little understanding of how gravity can be used as an effective tool to keep him attached to the earth. It has been suggested this is somehow related to his anti-monochromatic wardrobe. If you find this discussion unrelated to Joe’s music, then it is imperative you attend this upcoming concert in our living room. Maybe, just maybe, you will understand. Call 466-6941 to secure your spot for this $15 show. FOUR PACK OF FUN : Calinambe, a world music ensemble, creates an otherworldly vibe that’s fascinating and stirring. See for yourself on May 16 at the Steynberg Gallery. I’m not sure what Timo (aka—Tim Beckwith) taps into when he sings, but he’s clearly channeling some mystical force than guides his music. As the driving force behind Calinambe, a world music ensemble, Timo creates an otherworldly vibe that’s fascinating and stirring, which you can see for yourself on Saturday, May 16 at the Steynberg Gallery at 8 p.m. ($10 at the door). On a side note, Timo also recently released his first solo album, Timo Solo. “It’s taken me three years and many thousands of hours to produce this album,” he said. “It is truly the completion of a big life goal for me. The album is for sale at Boo Boo Records and on cdbaby.com/cd/timbeckwith as well as download sites like itunes. You can also buy a copy at the show on Saturday. 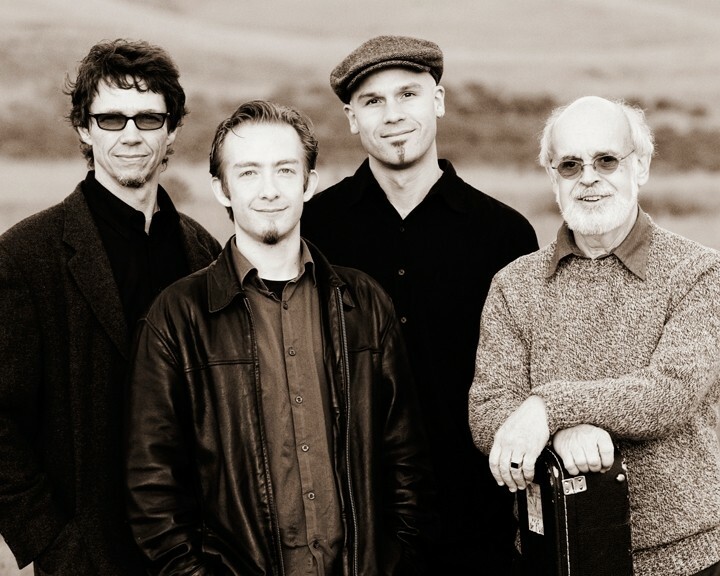 MORE IRISH THAN A PINT OF GUINNESS : Molly's Revenge, that amazing Celtic band that’s based in Santa Cruz but boasts Los Osos musician Stuart Mason, returns to town on May 21 at the SLO United Methodist Church. 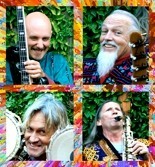 Molly’s Revenge, that amazing Celtic band that’s based in Santa Cruz but boasts Los Osos musician Stuart Mason, returns to town on Thursday, May 21 at 7:30 p.m. in the SLO United Methodist Church ($15 advance at Boo Boo’s or mollysrevenge.com, or $20 at the door). The concert, sponsored by KCBX Public Radio and Live Oak Music Festival, features the band’s classic combination of bagpipes, whistle, fiddle, and song, all set against a backdrop of guitar, bouzouki, and mandola. They recently released their seventh full-length recording, The Western Shore, produced by John Doyle, a founding member of Irish supergroup Solas, with guest performers including percussionist Fraser Stone (Old Blind Dogs) and Moira Smiley (VOCO). Modesto-based cover band Ode to Anthony plays the Frog and Peach on Thursday, May 14 from 8:30 to 11:30 p.m., playing everything from Jerry Lee Lewis and Ray Charles to AC/DC to Queen to Aerosmith. On Friday, May 15, Robert Hall Winery presents “A Hang Loose Wine Festival Weekend” kick-off party and ’60s rock’n’roll bash featuring Unfinished Business, playing the music of the Beatles, the Beach Boys, the Rolling Stones, Wilson Pickett, and James Brown, to name a few. “You can’t ignore it. It makes you smile, it makes you sing, it makes you dance, and it takes you back to an exciting time in musical and cultural history,” said the band. “Experience the magic all over again with the music of Unfinished Business.” Cavern Club members pay $35, non-Cavern Club members $45. Call 239-1616 Ext. 24 to reserve your space. The Pacific Horizon Chorus of SLO County invites tea and music lovers to their Annual High Tea on Saturday, May 16, beginning at 3 p.m. at SLO’s Unity Church. Barbershop a cappella music will be presented as well as tea and lots of delicious sandwiches and baked goods. Reservations are recommended: 528-6106. The G. Roger Bailey Scholarship Fund presents Katie Ames on Sunday, May 17 from 1 to 3 p.m. at Coalesce Bookstore ($15; 772-2880). This is Katie’s premiere performance as the recipient of the G. Roger Bailey Classical Guitar Scholarship. She’s been studying under Marilyn Blodget of Atascadero for the past six months. Ames was born and raised on the Central Coast and has been studying both classical and contemporary guitar since age 13. She’s currently a music major at Cuesta College, beginning her second year this fall. Three bands and two DJs will be on hand on Sunday, May 17 from 2 to 8 p.m. at the Frog and Peach for a fundraiser celebration concert for the family of Daniel “Diji D” Seymour. The beloved friend, father, husband, and local DJ died on April 27. He is survived by his wife Angelina and their two children—Messina, age 2, and Jameson, age 1. Come dance to the live music from the Zongo All Stars, Tipsy Gypsies, and Minds Eye, as well as DJs Project Dhiyaa and DJ tbg. A $5 donation is requested, and there’re some awesome raffle prizes, too. All proceeds will benefit Daniel’s family. The Duke! He exuded sophisticated cool and reminded jazz fans that it don’t mean a thing if it ain’t got that swing. On Sunday, May 17, Los Angeles pianist Ted Howe and His Trio pay tribute to the music and life of Duke Ellington in the next installment of the Famous Jazz Artist Series at the Hamlet in Cambria. Howe, Summit recording artist, is critically acclaimed for his presentations of the music of Cole Porter, Harold Arlen, and Duke. As usual, series co-producers Charlie and Sandi Shoemake (vibraphone and vocals) will join in the fun. There’s $15 show at 4 p.m., a $12 show at 7:15, or stay for both for $20. Call 927-0567 for reservations. Songsmith and guitarist Devin Wallace takes his “Highway 101 Revisited” concert to the Gather Wine Bar (122 E. Branch, Arroyo Grande) on Sunday, May 17 at 6 p.m. According to Wallace, he’s bringing old-time musical sensibilities to new-time themes: “He used to drive a Maserati/ The company called him their Top Gun/ Now he’s standing with his thumb out/ There on Highway 101.” Trumpeter Dan Lichti will accompany Wallace. 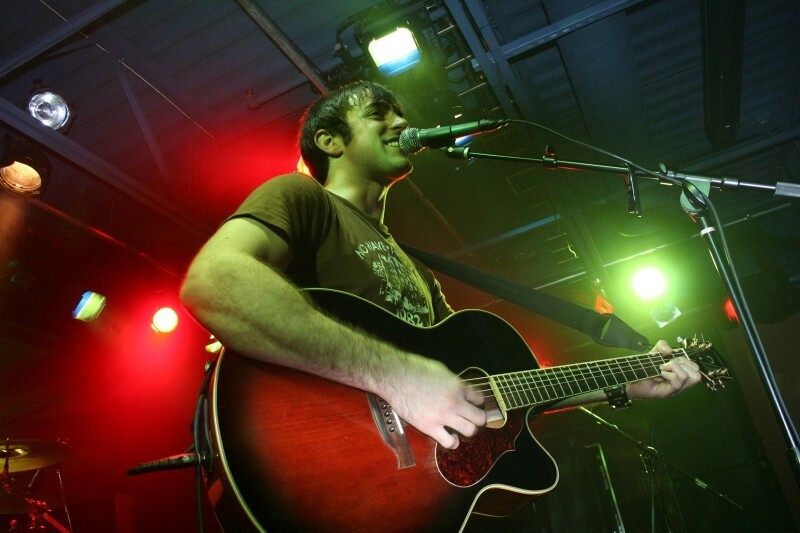 AMERICA’S HEARTLAND : Lucas Cates, a good Wisconsin boy, rolls through town this week to play a show at Frog and Peach on May 20. The Lucas Cates Band, good Wisconsin boys hailing from my home town of Madison no less, rolls through town this week to play a show at Frog and Peach on Wednesday, May 20 at 10 p.m. Featuring socially conscious lyrics and playing a crisp brand of acoustic pop rock, this unsigned band is storming the nation in its bid for supremacy! Midwestern power! Glen Starkey still smells like cheese, which is better than smelling like soup. Breathe in his Wisconsinny goodness at gstarkey@newtimesslo.com. 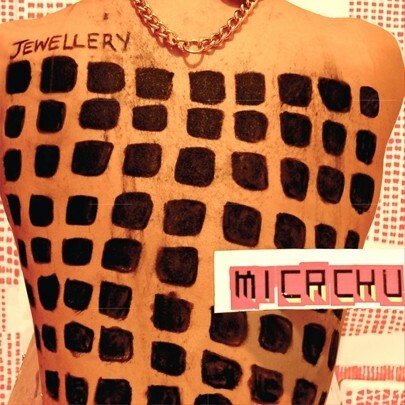 Studying at Guildhall School of Music and Drama and being commissioned to write an orchestral piece for the London Philharmonic, 21-year-old Mica Levi offsets the rigors of academic training with her left-field alter-ego Micachu. Lifting inspiration from the UK’s thriving grime and garage scenes, she’s as comfortable looping beats and releasing her own grime mixtape as with the down-tuning of a viola. 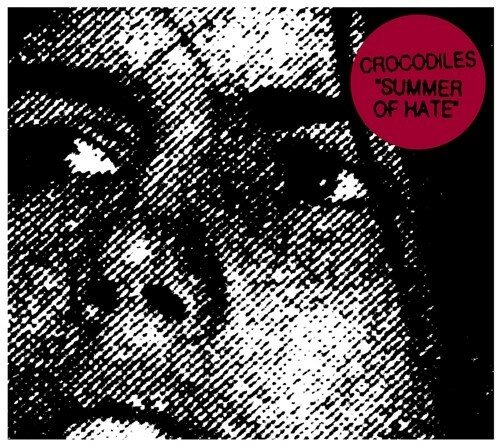 On her debut full-length, Jewellery, she reveals a dizzying set of hyperactive songs that fringe on noisy chaotic fun yet retain a remarkably listenable heart. “Lips” plunders a Bhangra guitar lick for its opening before its “garage rock meets circuit board freakout” chorus. The minute and a half “Floor” shows Micachu at her most reserved—her guitar and electronic, blip-filled backdrop that resembles her producer Matthew Herbert’s own work. If you can joyfully recall the sonic whimsy of the Fiery Furnances or the sneering jangle of the Fall, you may have a new friend in Micachu.